Persuasive writing can be difficult, especially when you’re forced to face with a close-minded audience. But even the hardest of shells have a soft spot, you just need to know how to crack it. In an essay writing, it’s not enough to just present facts. It’s important to keep answering the question why, while still staying relevant to the topic. You see, good arguments are those that make a person doubt their own beliefs. This may not completely change their stance, but it will highlight lapses in their own judgments. 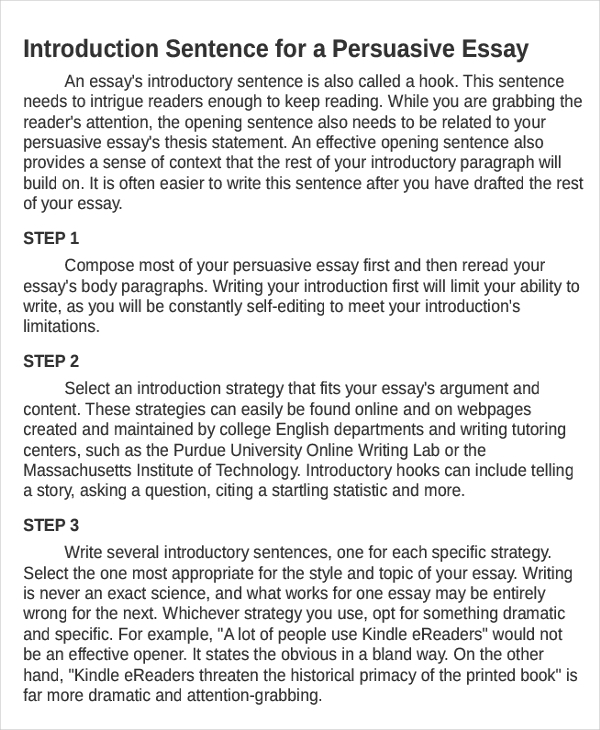 How to Structure a Persuasive Essay? There are three main parts of an essay, namely the introduction, the body, and the essay conclusion. 1. Start off with an attention grabber. This should also include the thesis statement of your essay. 3. Finally, create a compelling conclusion that will let your readers see things from your point of view. Remember, readers may be strongly against your beliefs but they might just be considerate enough after reading your arguments. 1. Determine your stance. A persuasive essay outline is similar to a debate, in which you need to choose a side to stay on. This will help you formulate arguments that focus on your central message. 2. Do a thorough research on your topic. You need to gather solid evidences to support your argument. It’s best to rely on library-based books and journals rather than those from online sources. 3. Backup your arguments. With the data you have collected from your research or reflective essays, state facts and testimonies from experts. Be sure to cite your sources in order to avoid plagiarism. 4. Structure your points properly. Follow a specific order to present your points. This can start from the simplest to the most compelling of all. This will help you formulate a persuasive essay with a logical argument. You may also see effective ways and examples to start your essay. 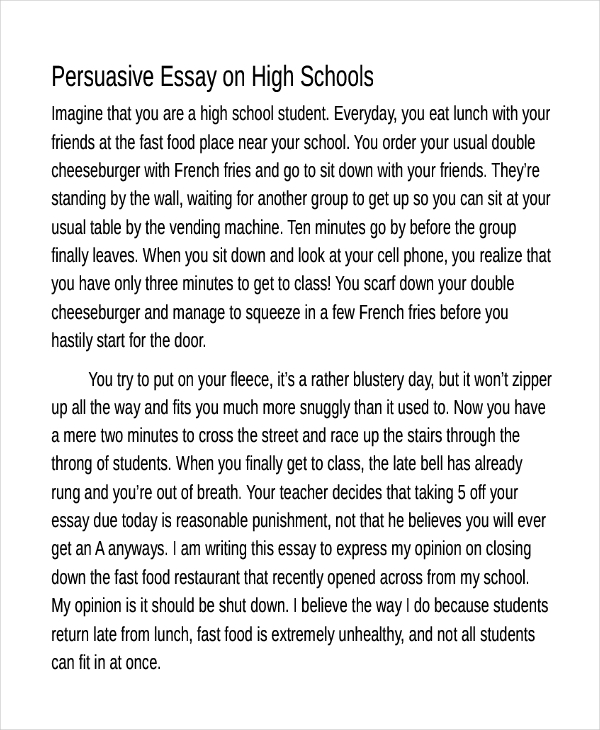 The best persuasive short essays often focus on controversial issues. 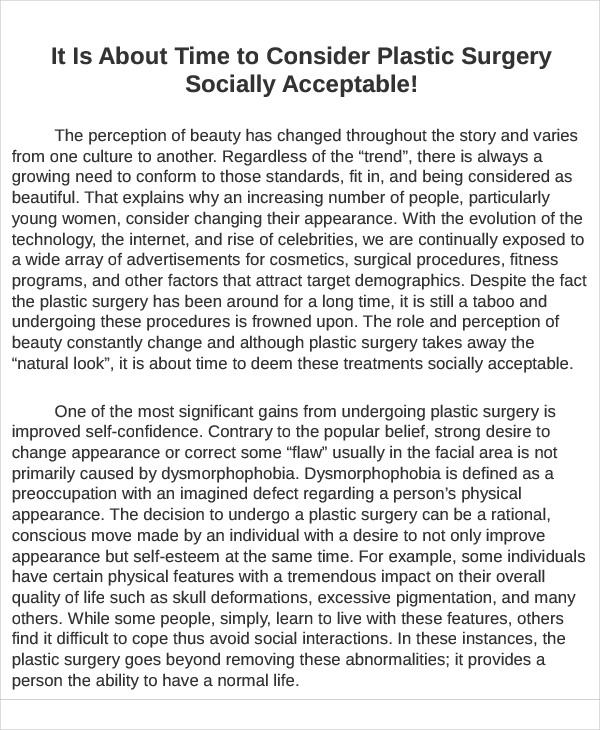 This would include issues that have greatly affected the society we live in today. Topics that center on these themes may sound a little biased for some, but the purpose of a persuasive essay is to prove a point from a single perspective. The thing is, matters that are apparent but untouched are often the ones that are best to write about. It goes against the norm of just agreeing or contracting a given idea. You may also see concept essay examples & samples. However, it’s important to remember that the idea in itself is not enough to make an essay good. 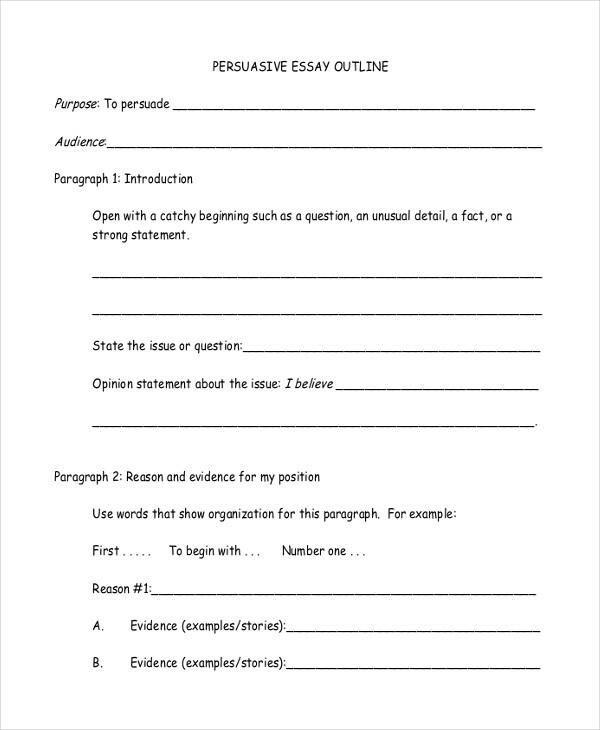 In persuasive writing essay conclusions, you need to be passionate about your topic. Otherwise, you’ll end up stating mere facts than actually arguing.